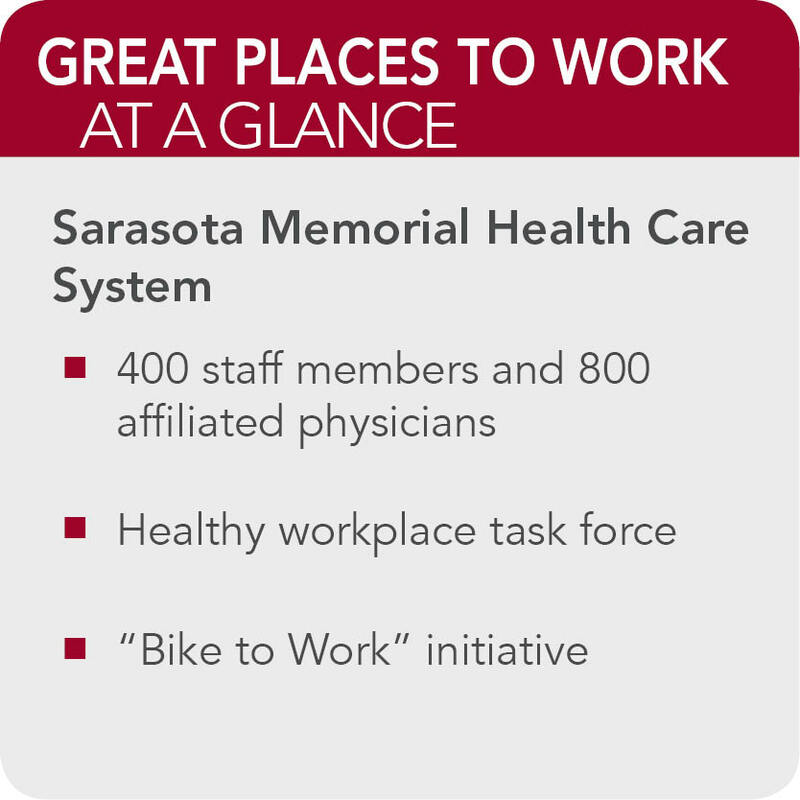 Meet the organization: Sarasota Memorial Health Care System is one of Sarasota County's largest employers, as it has 4,000 staff members and 800 affiliated physicians. Sarasota Memorial Health Care was named to U.S. News & World Report's Best Hospitals list in 2013 and was also ranked No. 1 for overall care in the Bradenton-Sarasota Port region. Added benefits: Sarasota Memorial Health Care System has developed a healthy workplace task force to create and support a culture of health for all employees. The system's "Bike to Work" initiative encourages a bike friendly environment, and it works with vending machine owners to offer several healthier options as recommended by the hospital's registered dietitians. Additionally, the hospital administers a number of scholarships and sponsors on-site college fairs to provide information for staff considering furthering their education.